MALYUTINA ELENA, Doctor EMC. Make an appointment, ask a question. In 1980 graduated the 2nd Moscow State medical Institute n.a. N.I. Pirogov, department of medical care, in 1982 – clinical residency in cardiology. In 1986 – primary specialization in functional diagnostics. In 1993 – specialty cycle in “Topical issues of diagnostics and reconstructive heart and vessels surgery with the training for ultrasound Doppler sonography. In 1996 — specialization in «Transcranial Doppler sonography». In 2010 — cycle of advanced training at the FSEI Institute of Advanced Training of Federal medical-biological agency of Russia “Medbioextreme” in functional diagnostics. In 2014 — advanced training course at the academician B.V. Petrovsky Russian centre of surgery “Transesophageal echocardiography”. In 2015 — advanced training course at the Institute of Advanced Training of the Federal medical-biological agency in functional diagnostics with obtaining confirmatory certificate of specialist in ultrasound diagnostics. In 2015 — advanced training course at the department of radiodiagnostics of Institute of postgraduate professional education of A.I. Burnasian Federal medical biophysical centre of Federal medical-biological agency of Russia in ultrasound diagnostics with obtaining confirmatory certificate of specialist in ultrasound diagnostics. Physician of superior merit in functional diagnostics since 1996, in ultrasound diagnostics – since 2014. 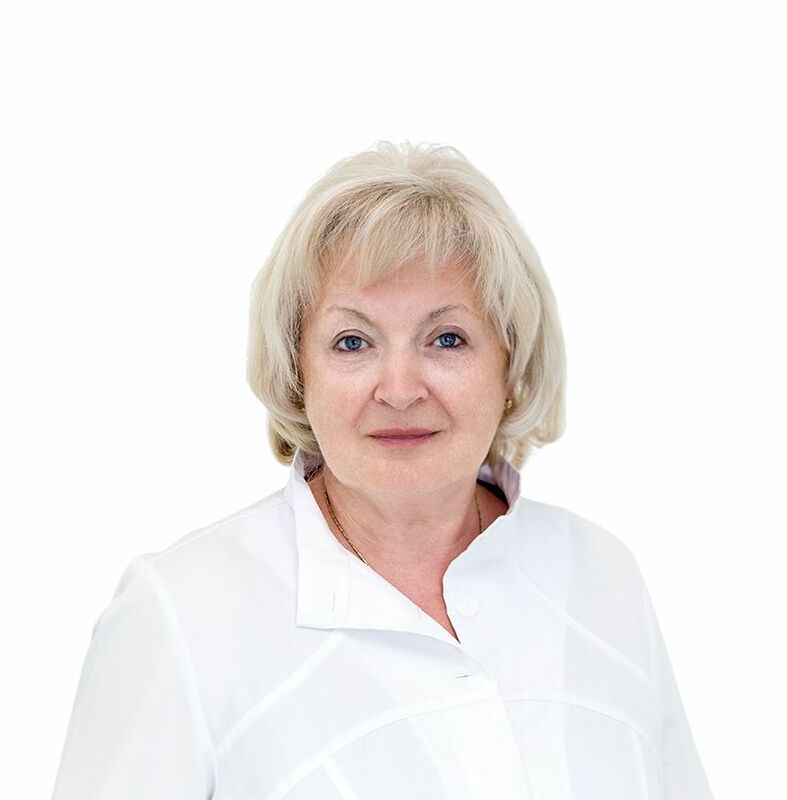 1986 - 2004 — Physician of functional and ultrasound diagnostics of Federal State Institution of healthcare Clinical Hospital №83 of Federal Medical-biological agency of Russia. 2004- 2008 — Head of the ultrasound and functional diagnostics office of Federal State Institution of healthcare Clinical Hospital №83 of Federal Medical-biological agency of Russia Centre of vascular surgery. 2007 - present time—Professor of the cardiovascular surgery department of Institute of postgraduate professional education of A.I. Burnasian Federal medical biophysical centre of Federal medical-biological agency of Russia; professor of the department of physiology and functional diagnostics of the Institute of Advanced training of Federal medical-biological agency of Russia. 2008-2015 — Head of the department of functional and ultrasound diagnostics of the Centre of cardiovascular and endovascular surgery of Federal State Institution of Healthcare Clinical Hospital № 119 of Federal Medical-biological agency of Russia. The curator of the thematic course of advanced training “Ultrasound diagnostics of cardiovascular system”, professor of the academic department of cardiovascular surgery of Institute of postgraduate professional education of A.I. Burnasian Federal medical biophysical centre of Federal medical-biological agency of Russia; The curator of the thematic course of advanced training “Ultrasound angiology in vascular surgery”; professor of the academic department of physiology and functional diagnostics of Institute of Advanced Training of Federal medical-biological agency of Russia; curator of the thematic course of advanced training “Ultrasound angiology”. A member of the Russian society of angiologists and vascular surgeons and of Association of specialists in ultrasound diagnostics in medicine. Was awarded for her services in medicine an order of Ziolkovsky.